WASHINGTON (Reuters) -- Former Republican presidential candidate Senator Lindsey Graham threw his support behind Senator Ted Cruz in the race for his party's presidential nomination on Thursday, saying he thought Cruz has the best chance of stopping front-runner Donald Trump. Graham said he will headline a fundraiser in support of the Texas senator on Monday, in connection with the upcoming conference of the pro-Israel lobby AIPAC. 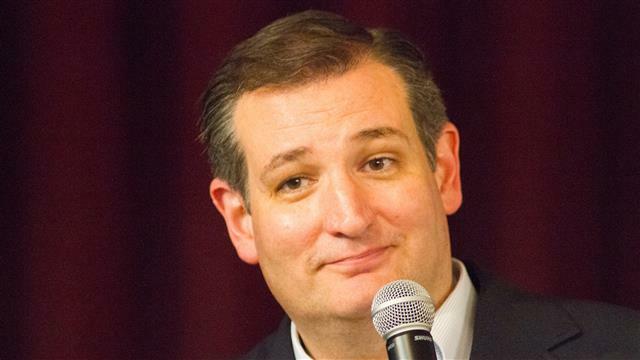 Cruz is to address the AIPAC meeting on Monday. Graham, a U.S. senator from South Carolina who dropped out of the presidential race in December, before the nominating contests had even begun, acknowledged his former harsh criticism of Cruz, including joking about Cruz being murdered on the Senate floor. "It's an odd alliance, but it's an alliance I feel comfortable with given my choices," Graham said. He said he thought Ohio Governor John Kasich would have a better chance of winning in November, but had concluded that Cruz has a better chance of stopping Trump. "I like John Kasich. I think we could nominate John and John would win the general election going away," Graham said.